A career international lawyer, Ambassador Narinder Singh has over the last four decades shaped India’s interaction with the international law. As the Legal Adviser to the Indian Ministry of External Affairs and Head of its Legal and Treaties Division, he has represented India in several United Nations bodies, negotiations of numerous treaties, and important arbitral proceedings. He has held key positions in diplomatic conferences and been a member of the International Law Commission for a decade, serving as its Chairman in the Sixty-seventh Annual Session (2015). He participated prominently in its work on topics such as ‘immunity of State officials from foreign criminal jurisdiction’, ‘protection of the environment in relation to armed conflicts’, ‘identification of customary international law’, and ‘crimes against humanity’. He was awarded the prestigious M.C. Bassiouni Justice Award 2017. He started his legal career as an academic at the Indian Society of International Law, an organisation he led three decades later as Secretary General. 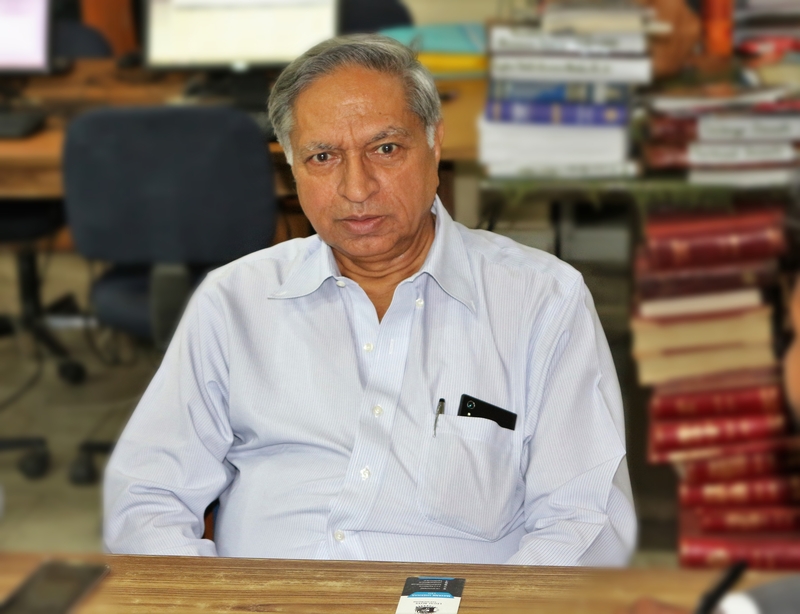 He was instrumental in securing electronic distribution and archiving of the flagship journal of the Society, the Indian Journal of International Law, ensuring a wider audience, especially amongst young lawyers. 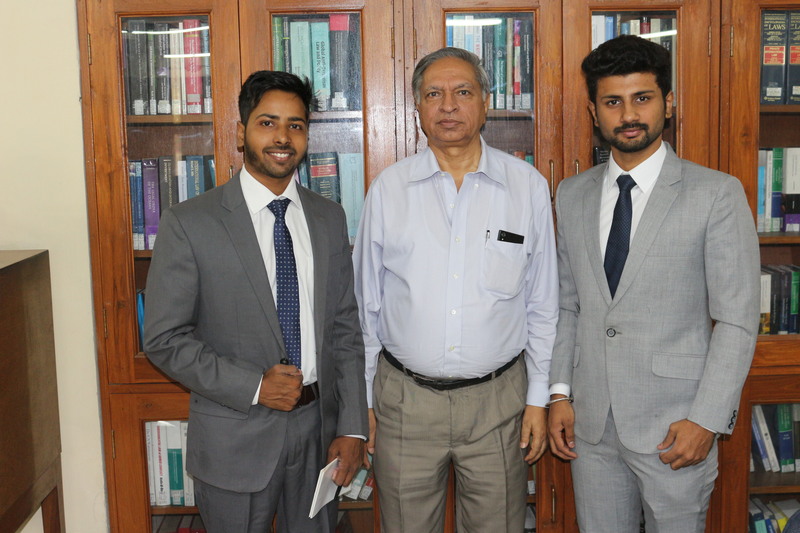 Many younger lawyers have gained valuable exposure to international law through research assistantship with Ambassador Singh at sessions of the International Law Commission and at the Indian Society of International Law. He is a Professor at Maharishi Law School, Maharishi University, Noida, Delhi NCR. Recently Mayank Shekhar, CEO, Legal Bites and Lakshay Anand, Media Manager got an opportunity to interact with the legend. Here’s the excerpt for the same. Legal Bites: What influenced you to choose law and to pursue a particular domain of law as a prospective career? Mr. Singh: To start with, I was going to become an engineer. I was selected at IIT in 1969 and I was keen on doing electrical or mechanical engineering, however, according to my rank, these were the two which I missed out on. I could opt for any field of study except the two of my interests, so I decided and chose not to pursue engineering at all. Then I did my bachelors degree and came to Delhi University to study Law because at that time in schools it was emphasized that one should either do engineering or become a doctor. In law, I was always intrigued by International Relations, in traveling, in knowing what was happening in the world. So, I chose to pursue International Law for my LL.B. For my LL.M. I did all my papers in International Law. Delhi University did not have any specialization in International Law but had one as an optional subject. My anticipation was also Non-International Law, like Interpretation of Treaties. Legal Bites: In early April, the United States launched an air strike against a military base in Syria used by President Assad to carry out chemical weapon attacks against his own population. The strike was justified as retaliation for the use of chemical weapons and to deter their future use. The international response to the air strikes was however muted and largely characterized a by a quiet support. Could this show an increased willingness on the part of states to accept unlawful military action as ‘legitimate’ and boost the case of those arguing in favor of humanitarian intervention? Mr. Singh: The US has in many cases, taken unilateral actions which other countries have not agreed to but because the US being the Superpower countries have kept quiet. In Iraq, it was later proved that all the justifications given were needed to be substantiated and the opinion was divided as in the UK, there was an enquiry that how the Attorney General of that time had certified and that was a good case, even though the legal advisor of the office had advised against it. Legal Bites: In your view, has India lost the significance of the study and use of the international law? Mr. Singh: Well in India, I see that there is not much study of international law. Many universities are trying to offer specializations in a particular area of the study of law. Some are offering human rights, some are offering humanitarian law, criminal law but the public international law as such has less emphasis. Legal Bites: India hosts a large number of refugees, yet India has neither signed the 1951 UN Refugee Convention and nor its 1967 Protocol. Out of 190 odd countries, the UN Refugee Convention has 140 signatories – what made India opt out of such a humanitarian obligation? Mr. Singh: As you said there is a large number of refugees. This is the result of conflicts in parts of the world. They are fleeing from natural disasters and there are also those who are fleeing for a better life. So the reasons for a large number of refugees is quite common for us. But looking carefully at the 1951 Convention, this was not meant to address these kinds of situations. This was actually meant to address the cases of individual persecution. And in the recognition criteria of refugees the fear is of persecution and for that, it must be an objective, a situation which would warrant for fear. But what you have nowadays, people are fleeing for violence and they are not themselves targets of that violence or they are fleeing from a natural disaster as we have droughts in parts of countries. These were the grounds which were not envisaged in the Conventions and that led to the various responses. Legal Bites: The grant of 2017 M.C. Bassiouni award is one of the greatest achievement in the field. 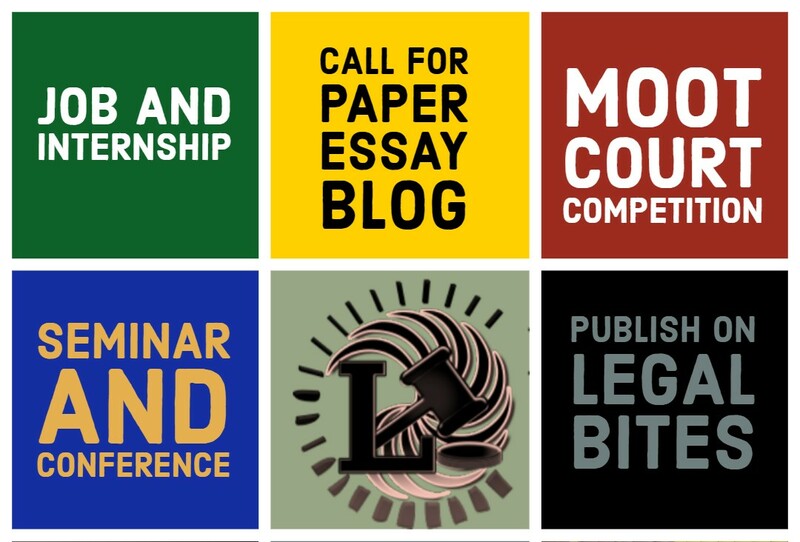 Which key development in the international law made you receive the award? Mr. Singh: I don’t think that it was any single achievement. It has been a general achievement. As I have had a long career in International law and actually I don’t know who were the other nominees, I am sure they would have good achievements too. My effort has always been to encourage young people to take up international law. One is that as the head of division I wanted good people to join the Ministry and to join the legal division. As a subject in academics, we need good teachers because only then you’ll have good students and if you have good teachers in academics, they will produce better work and literature and then you represent your country. Legal Bites: What advice or suggestion would you like to give to our readers who are predominantly law students and young lawyers? Mr. Singh: Well firstly, I would like to encourage them to study international law. 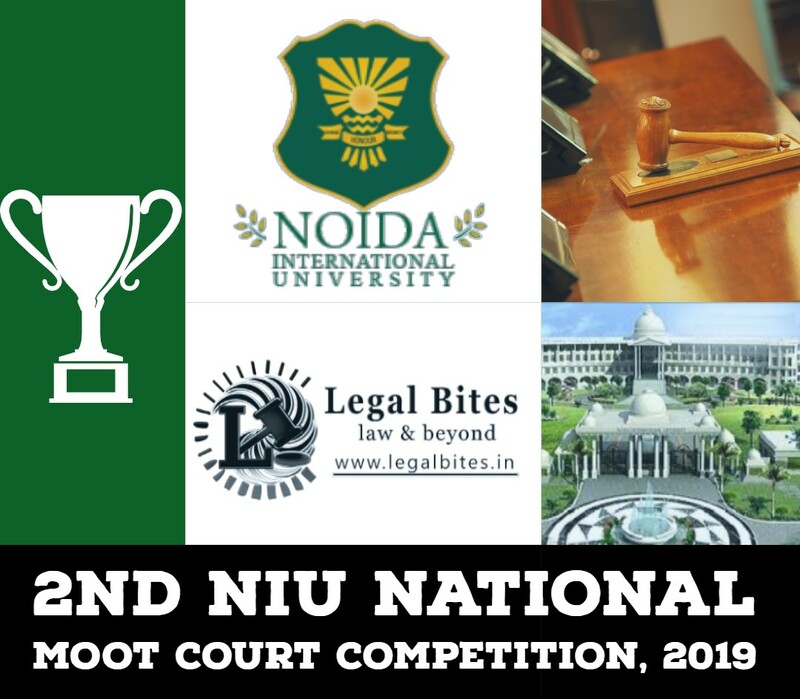 Firstly, international law offers a number of good opportunities as Legal advisors to government, Ministry of External Affairs in the legal field and they are always looking for a good and well-read people. There are a number of vacancies but they cannot find the right guy. Apart from the government, you have UN and other international organisations. There are a large number of organisations where persons of expertise in international law can find a career for themselves. In addition, you have international arbitrations in abundance and cases before International Court of Justice and other courts. There are a number of international courts, ICJ being the eldest, Tribunal for the Law of Sea, the Human Rights Tribunals and other Tribunals been talked about. There’s also the discussion on setting up of International Court on Investment Issues. So, there is a wide scope. International Law translates into domestic law in a number of areas – as when States ratify the Conventions, they need to enact the domestic law in many cases so even in domestic legal practitioners international law has relevance. Legal Bites: Thank you, sir.